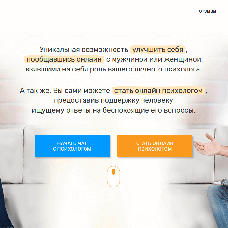 A unique opportunity to improve yourself by communicating online with a man or a woman who take on the role of your personal psychologist. You can also be an online psychologist yourself offering help to people who are seeking answers to different questions. Close your eyes, take a comfortable relaxed posture and imagine that you enter a luxurious compartment of the Trans-Siberian Express. The vanity of the previous days and nights slowly leaves you and your head starts spinning with thoughts about your previous life. Your heart glows with unfulfilled desires and sweet fantasies that have never before come true. Then, during one of the stops, someone enters your compartment, it is your fellow traveller. Imagine what you are wearing, feel the fresh wind flowing from the window frame. Hear your own voice as you speak to your fellow passenger. Now that you've imagined that, this is exactly what you've been waiting for. This is an opportunity to open up and surrender to the feelings, express your pain and hear in response the words of comfort and praise. 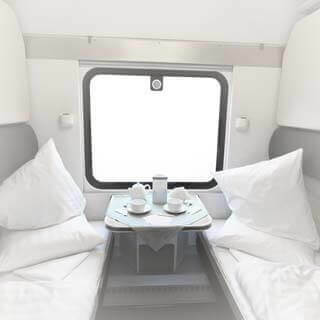 This is a chance to open your heart to another person who will only be with you in this compartment on the Trans-Siberian Express. A temporary companion will understand you and will give you strength and confidence, so you will enjoy the liberty of talking completely freely and openly. You might be this travel companion yourself if you are a good listener and can give the best advice in many of life's twists and turns to friends, acquaintances and relatives, and even complete strangers. Also, entering this luxurious compartment of this magical train, you can be anyone, a better or a worse version of yourself, or even a completely different person who you've always secretly wanted to be. Remember: everything that happens on this train will stay on the train and never find its way into your everyday life.